Review: The Belgian imprint AJ is proud to present this fantastic 3 track release from the Brazilian Jamanta Crew which consists of 3 members: Eduardo "Dudu", Rafael "Droors" Mergulhão and Rodrigo "Rod" Abranches. "Dudu" is better known as the mysterious Prztz with releases on Classic and So Sound. 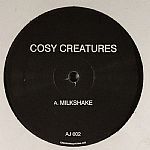 Jamanta Crew have previously released on Good Family and Greenhouse Recordings. On the A-side you can find the infamous "La Vida Loca" track which has been doing the rounds already with all the major underground house jocks and you'll find out very fast when you listen to this cut why! It's the hottest Latin house jacker around at the moment! Two cuts on the B-side with the first, "Tha Jam" which can be played at every moment of the night with its funky chords and cool vocal snippets. "Don't Even Think" flirts with the deeper house sounds but still makes it as a good late night jacker. Review: Next up on AJ recordings is Sir Cosmic aka Michael Colledan in real life hailing all the way from downunder - Melbourne. This fresh new talent had already a few tracks out on Igloo and Herbal Essence and has some remix work dropping soon on Lost My Dog. Did the Australian equivalent of Derrick Carter rise up here? We don't know but it sure sounds pretty close if you check out A-side "Don't Fall" with it's huge breakdown that makes the floor scream for more! Or what about the B-side "Five Year Itch" that is sounding so boompty boomp that it only confirms what has been said before - this man is one to watch for 2006 because this stuff jacks your pancreas! Review: Tiger Sprouts are Dimitri Dewever and Raoul Belmans, aka Cosy Creatures, aka Swirl People, aka Belgium's number one house ambassadors! 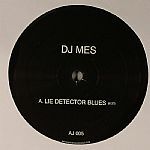 After their wicked "Steak Out" EP on Music For Freaks, they deliver a truly great follow-up to earlier AJ releases by Sebastien Leger, Homewrecker and DJ Mes. "Sorry, Wrong Beat" is a funky house track with a catchy guitar sample and a crazy break. That beat doesn't sound wrong at all! "Hillbilly Disc Jockey" on the other hand is more jackin' style house, with a rolling bass.